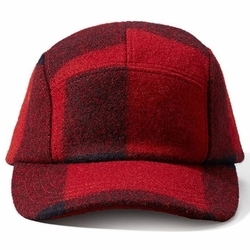 Filson 5-Panel Cap. This classic, five-panel cap provides natural water repellency. It's made of 100% virgin wool sourced from the USA for warmth, breathability and durability. It has a leather adjustable strap for a custom fit.